The USA Basketball Women’s World Cup Team (6-0) had won nine FIBA World Cup gold medals before entering this year’s tournament. But the 10th championship, finalized by a 73-56 win over Australia (5-1) in Santiago Martin Arena in San Cristobal de La Laguna, Canary Islands, marks the first time the USA has won three consecutive gold medals. The USA holds 10 of the 18 total World Cup championships – two more than the rest of the world combined -- and 13 medals overall. 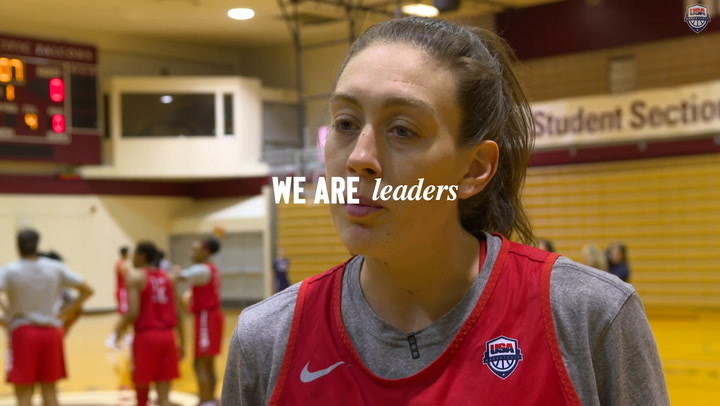 By winning the FIBA World Cup, the USA women earned an automatic spot in the 2020 Tokyo Olympics. The USA put the pressure on Australia early by starting the game with back-to-back 3-pointers from Breanna Stewart (Seattle Storm) and Taurasi to ignite a 10-0 run. The smothering defense on Australia’s 6-foot-8 center Liz Cambage of the WNBA Dallas Wings was a crucial component in the USA extending its World Cup winning streak to 22 games. Cambage, who was leading the World Cup with 27.2 points per game, hadn’t scored fewer than 20 points in the previous five victories. The USA held her to just seven points as Cambage missed eight of her 10 shots. She was shooting 68.4 percent heading into the game. Brittney Griner (Phoenix Mercury), who did a solid job battling with Cambage for much of the game, earned Player of the Game honors. Griner scored 15 points and recorded two of the team’s six blocks. The USA also held Australia 27 points fewer than its 83.0 ppg. tournament average. 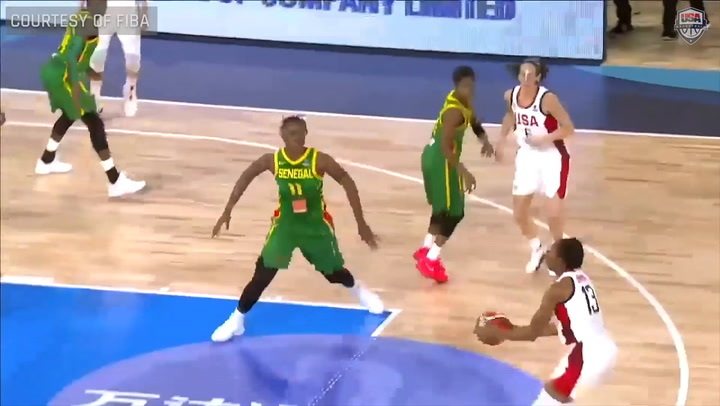 Jewell Loyd (Seattle Storm), who became the first USA player to win both a five-on-five World Cup and a 3x3 World Cup (2014) gold medal, forced three of the team’s seven steals. 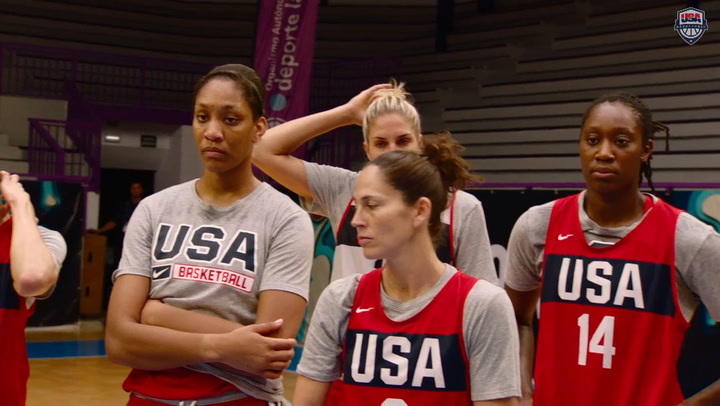 University of South Carolina and USA Basketball head coach Dawn Staley had said the defense had an under construction sign for almost the entire World Cup. The defense came together when it mattered most. Stewart, who won the WNBA league and Finals MVP honors, was named the 2018 FIBA World Cup MVP. She finished the game with 10 points and five rebounds, averaging 16.3 points and 6.3 rebounds for the tournament. Stewart said she barely had time to process her WNBA success, because she hopped on a plane almost immediately after the celebration parade. Bird became the only player in history, male or female, to win four World Cup gold medals. She has five World Cup medals overall. She also broke Staley’s all-time career World Cup assists record in the process. She entered the game one assist shy of Staley’s 103 assists and broke it on the first two USA baskets. An assist on Stewart’s 3-point shot tied the record 24 seconds into the game. Taurasi, a longtime University of Connecticut, EuroLeague and USA teammate who has teamed with Bird to win seven Olympic and World Cup gold medals, knocked down the 3-point shot that broke the record 20 seconds later. Bird finished the game with five assists to bring her career total to 107. Bird’s first World Cup gold medal was in 2002, Staley’s last World Cup as a player. Staley was a member of the gold-medal winning team at the 1996 Olympics that began a remarkable era. Since then, the USA record in major international competition record is 100-1. The USA has won six consecutive Olympic gold medals (1996, 2000, 2004, 2008, 2012, 2016), five World Cups (1998, 2002, 2010, 2014, 2018) and a World Cup bronze in 2006. The USA also won a FIBA Americas Championship gold medal in 2007. This one, Taurasi said, was the hardest.